The 3D dining chair - one of the most innovative products by Gubi - was designed by Boris Berlin and Poul Christiansen from Komplot Design. The chair is the first piece of furniture that is based on innovative three-dimensional veneer technology. 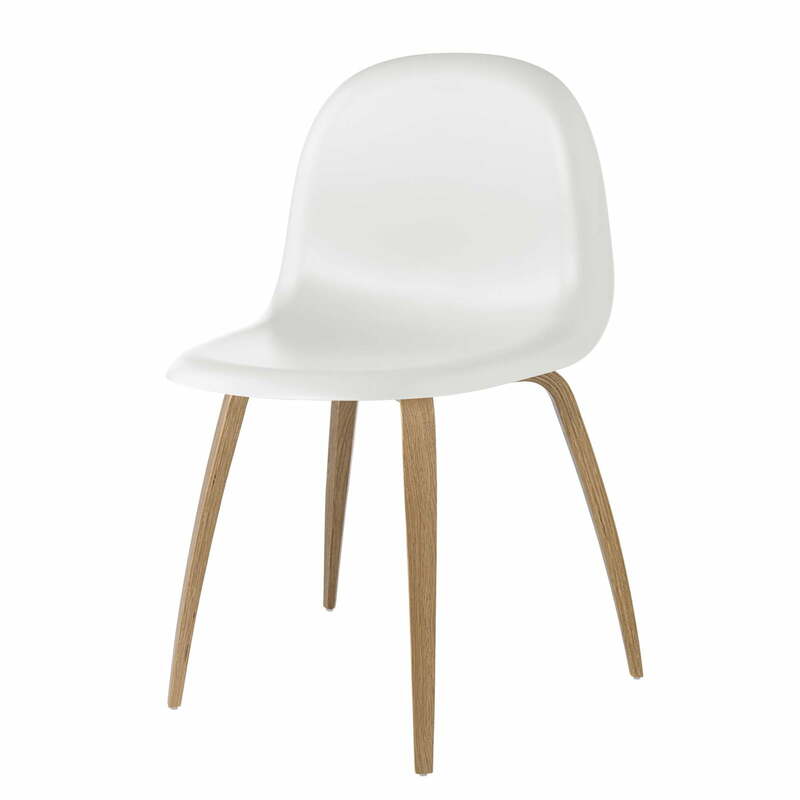 The 3D design gives the chair a comfortable seat and a feeling of lightness. All corners and edges fold away from the user, creating a particularly fluid and soft shape. Thanks to the innovative 3D technology, the thickness of the veneer is reduced to half. This saves material and protects the environment. The 3D chair was designed in 2003 and has since won several prestigious design awards. Moreover, it is a part of the permanent exhibition at the Museum of modern art (MoMA) in New York. 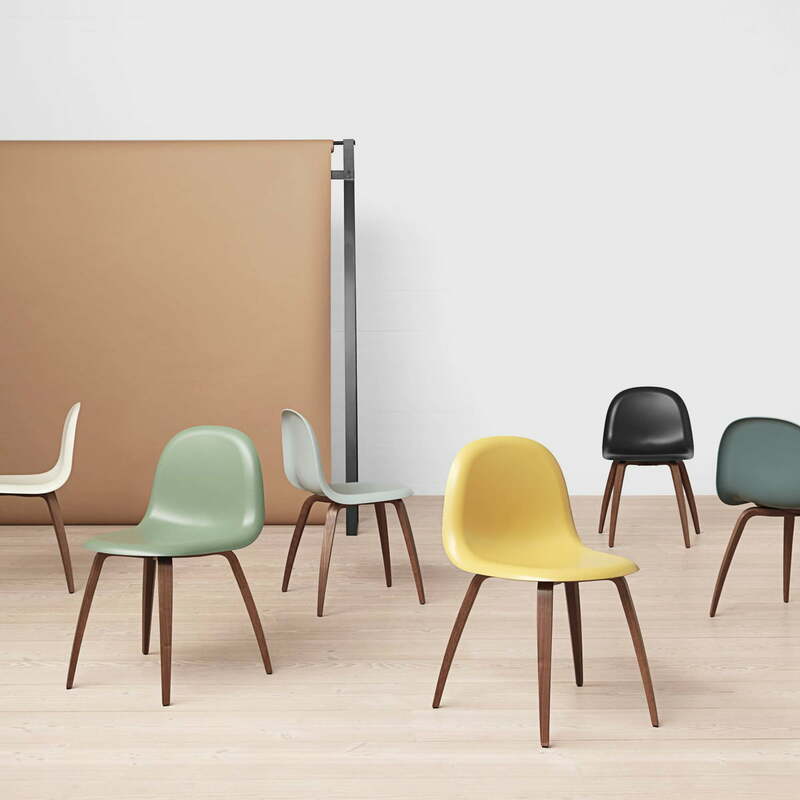 Available in various frames and seats, the upholstered Gubi Chair is perfect for the public and private sectors. 3D Dining Chair / Wood Base by Garner in various designs: Available in various frames and seats, the upholstered Gubi Chair is perfect for the public and private sectors.